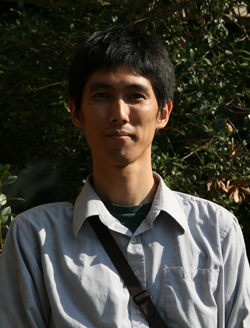 Yosuke Okamoto has joined ISR for a six-month residence as a visiting scholar. Mr. Okamoto is a full-time engineer from Toshiba Corporation in Japan. He works in the Quality Control System Technology Center at the Corporate Manufacturing Engineering Center in the city of Yokohama. During his stay, Mr. Okamoto will be involved in collaborative research with Professor Yiannis Aloimonos (UMIACS) in computer vision and image processing software.